gift box gift box (required)Yes please (+ £3)No thank you, tissue paper is fine. gift box (required)Yes please (+ $5.45)No thank you, tissue paper is fine. gift box (required)Yes please (+ €3.54)No thank you, tissue paper is fine. gift box (required)Yes please (+ $4.35)No thank you, tissue paper is fine. 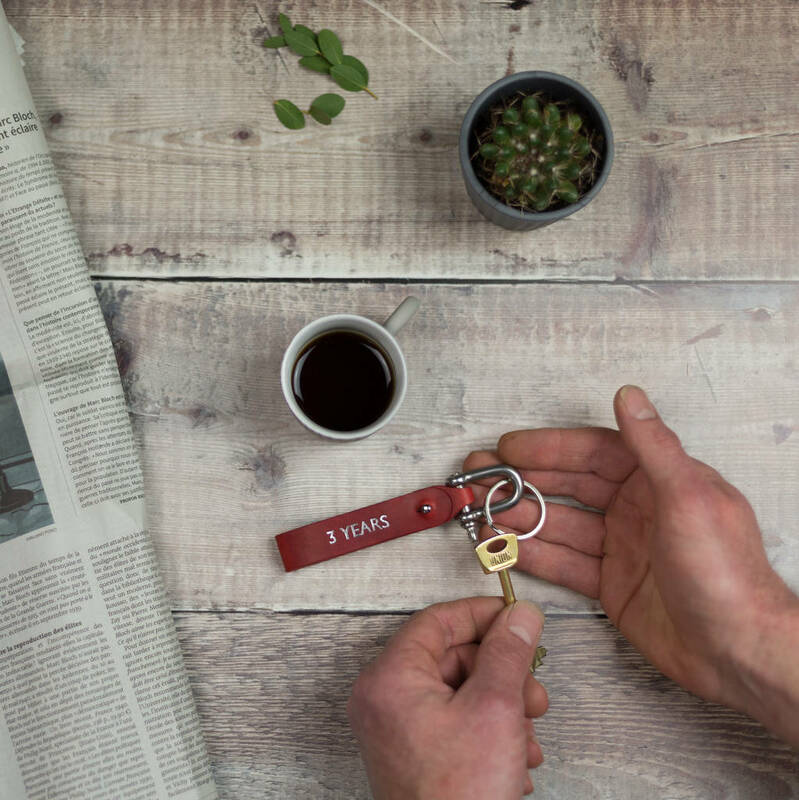 Our personalised leather keyring is stylish and practical - making our personalised leather keyring a perfect teacher's gift or leather anniversary gift! 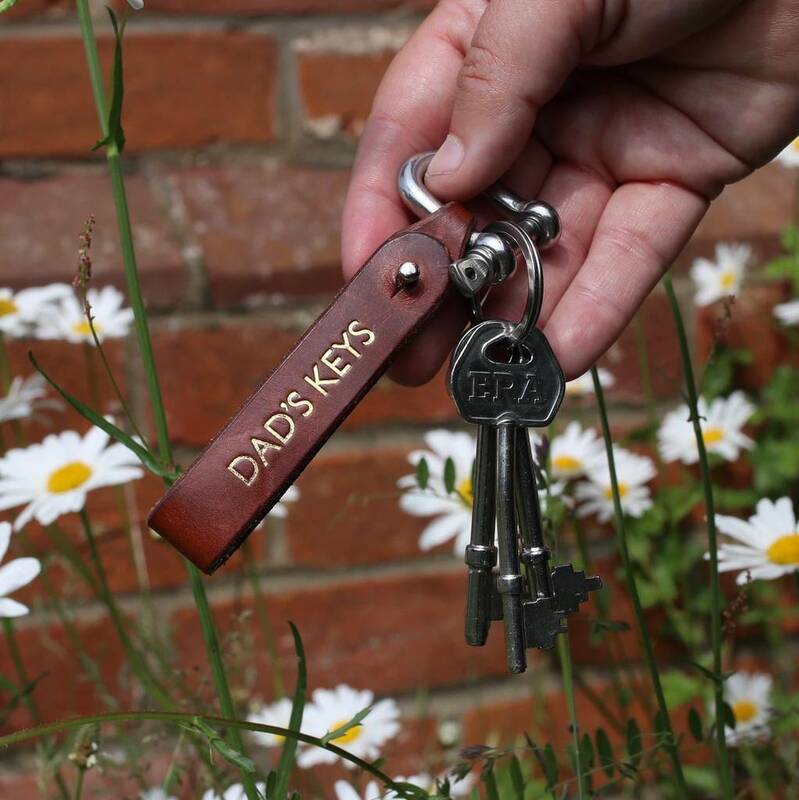 Keyrings that are personalised are a lovely gift. This personalised leather keyring is beautiful - we really are very proud of it. Made from a thick leather, it works perfectly as it is, to be carried loose in a pocket. 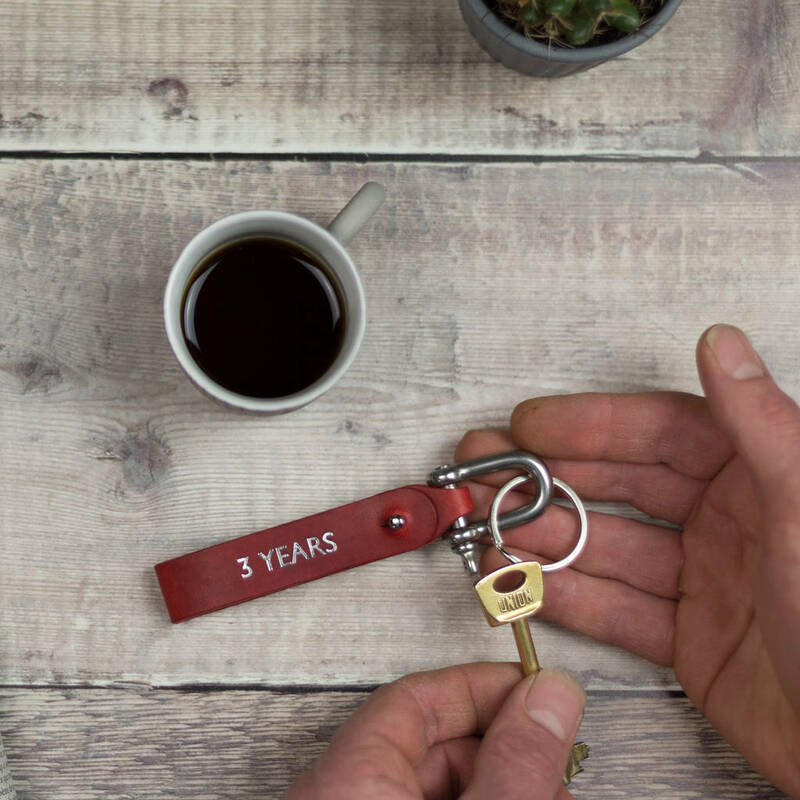 If the recipient is an outdoorsy type, they'll really appreciate the fact that it can be opened and attached to a belt, keeping the keys extra safe whilst out and about. 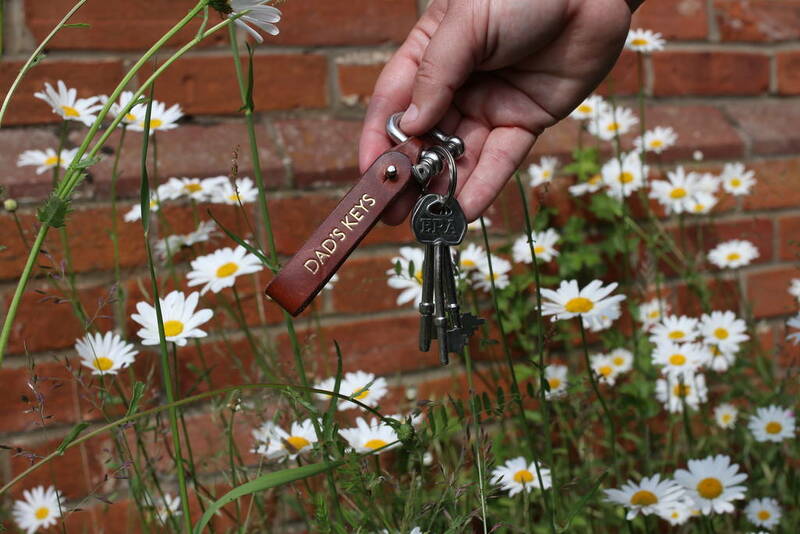 Our gorgeous keyring is available in red or caramel leather. 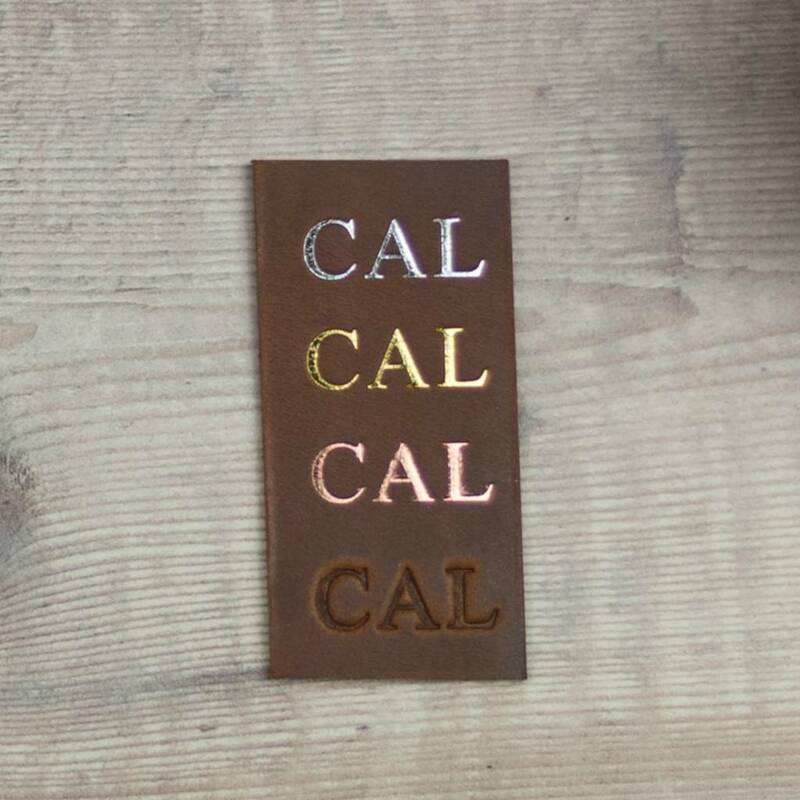 It can be personalised with either natural embossing or gold, rose gold or silver foiling. We use 'proper' foiling to emboss deep into the leather and the effect is stunning. 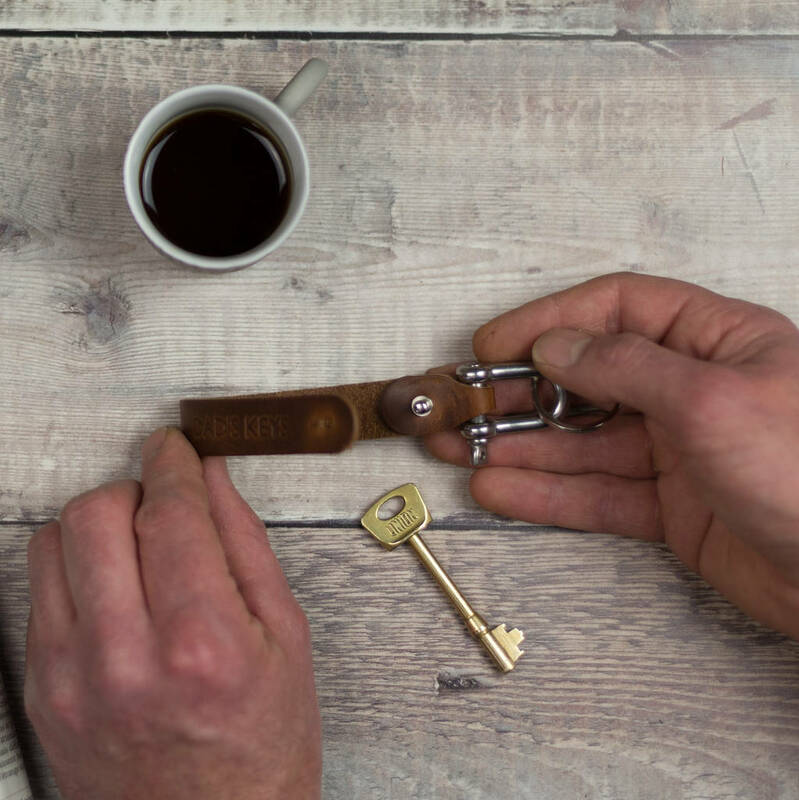 Each personalised leather keyring is made and crafted by hand so measurements are approximate. 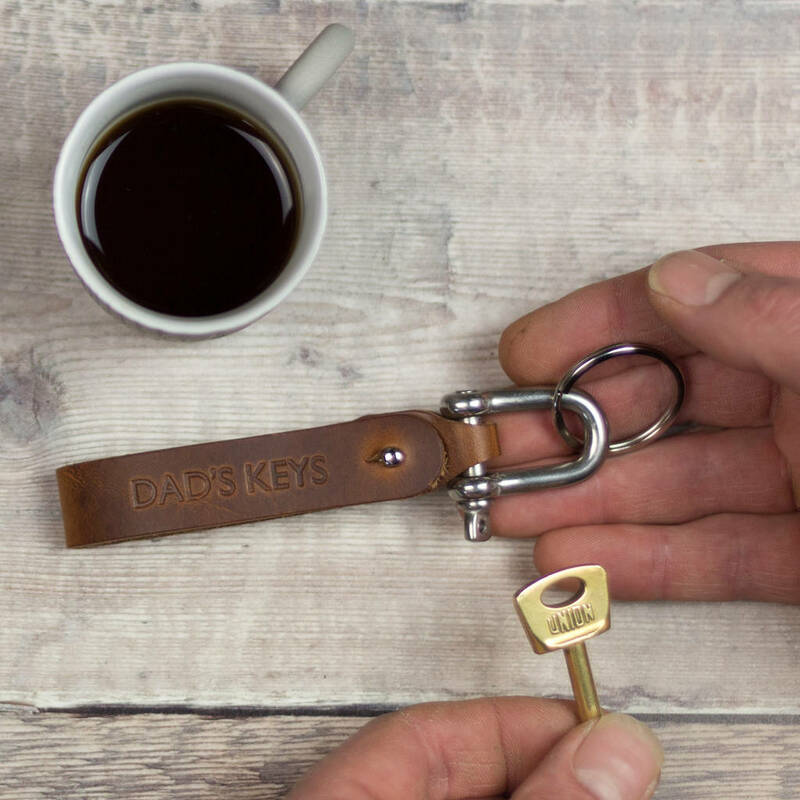 The leather section of the keyring measures 10cm whilst the D link adds a further 3.5 cm. It can be posted in a lovely cardboard gift box at an additional cost. This makes it perfect for gifting as it is - no further wrapping is required. This product is dispatched to you by The leather diary and leather notebook company by Hope House Press.